The Guest Lodge is ideal for small weddings and functions from 5 to 50 people. Elephant Hide of Knysna Guest Lodge will organise the whole function for the guest from arranging the flowers to organising the pastor. 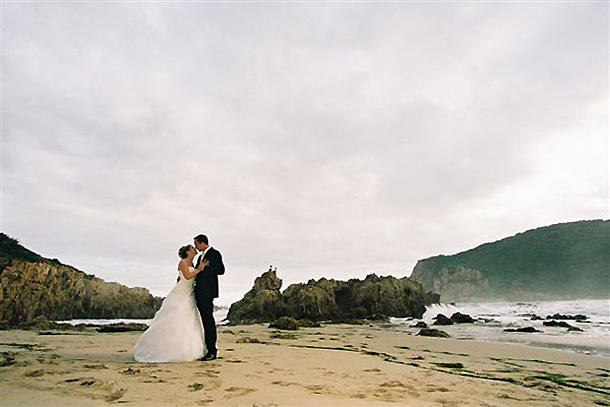 The wedding is formulated around the Bride and Groom and is tailor made to their specific needs. Menu ideas range from 5 course meals to lamb, beef and game on the spit. The Bridal couple will receive a complimentary night at the guest lodge. Please enquire about wedding rates and packages that can be organised. To book your wedding at this stunning venue telephone Ryan and his team on +27 (0)44 382-0426 or for further details or sending an enquiry visit Elephant Hide of Knysna.